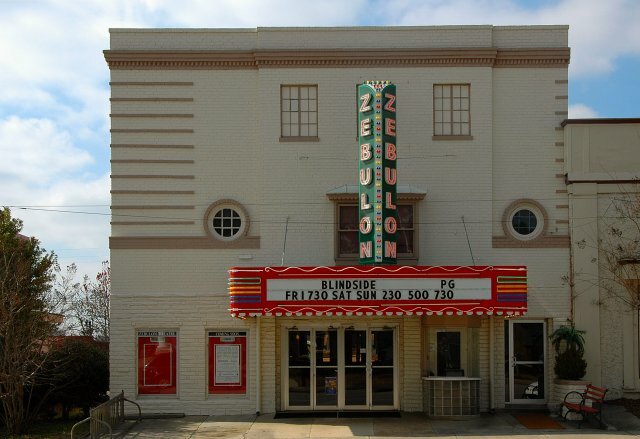 Mrs. Ethel Blanton opened the Zebulon on 15 April 1936 . She named it Zebulon in honor of her husband, Zebulon Blanton. It was sold to the Dunn Family Theatres in 1950 and again to Larry Bearden in 1973. Mr. Bearden operated it until 2000, at which time it was purchased by the Community Foundation of South West Georgia. It’s still open and shows recent movies. You can find out more here. The Roddenbery name isn’t just synonymous with Cairo; it’s known throughout the nation for its products, from syrups to pickles. W. R. Roddenbery improved upon his father’s cane syrup recipe and in 1890 began commercial production. By 1920, when this building was constructed, Roddenbery’s was already a major food production industry. 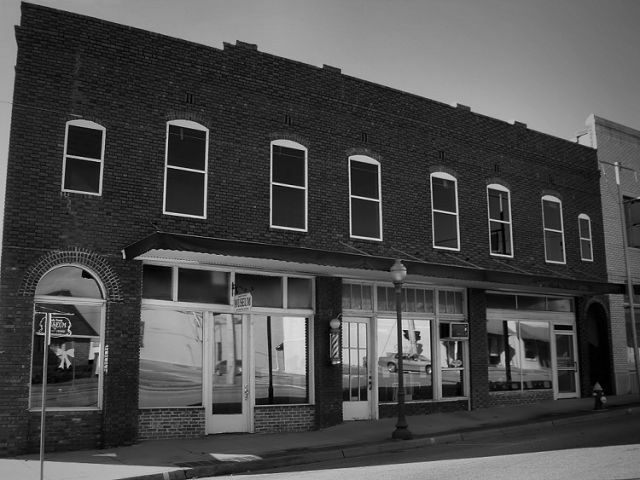 The second floor originally served as the Cairoga Club headquarters, with several business leasing storefronts downstairs. From 1932 to 1970, the business offices for the W. R. Roddenbery Company occupied the second floor. Sadly, Roddenbery’s was sold to Dean Foods in 1993, the local factory was sold ten years later, and no Roddenbery pickles or peanut butter are to be found today. Cane Patch Syrup is still around, though, and the Cairo football team is still known as the Syrupmakers. 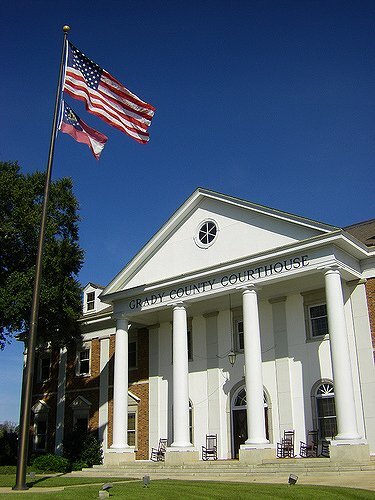 Grady County was declared the “Original Diversified Farming County of the Southeast” in 1906. The courthouse was designed by Alexander Blair and built by the J. B. Carr Company. Designed by Jinright, Ryan & Lynn Architects and completed in 1985, to replace the previous courthouse, which burned in 1980.